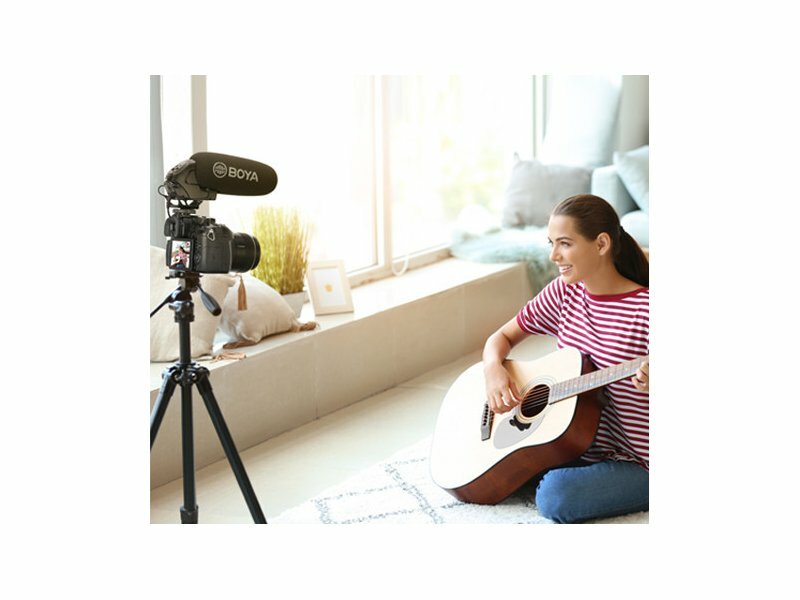 It features a three-level gain switch that provides a +20 dB boost, 0 dB unity gain, or -10 dB pad to prevent distortion from audio overload. 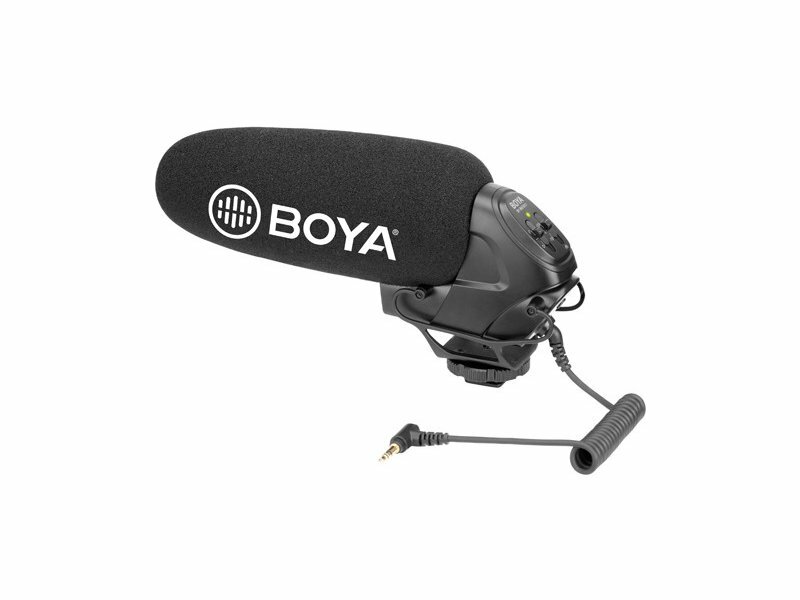 And also features a switchable high-pass filter at 80 Hz to roll off unwanted low-frequency noise and rumble. 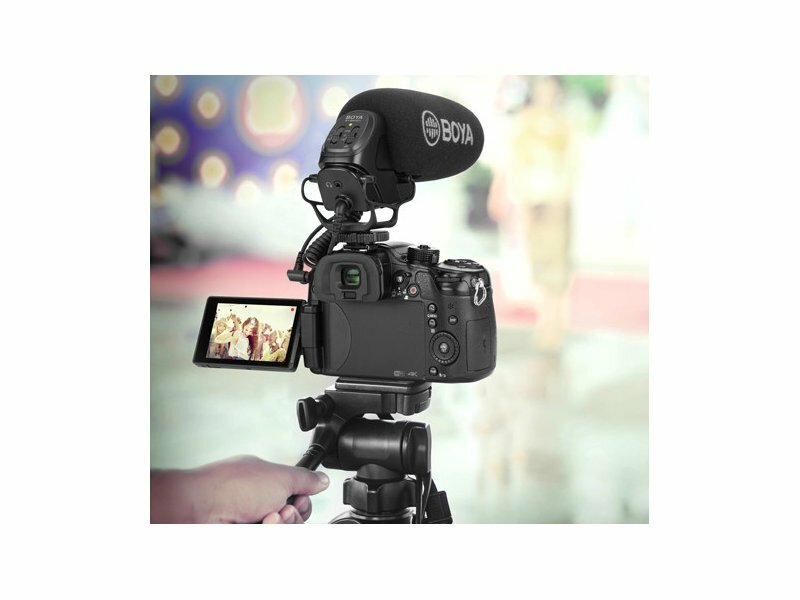 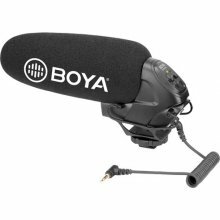 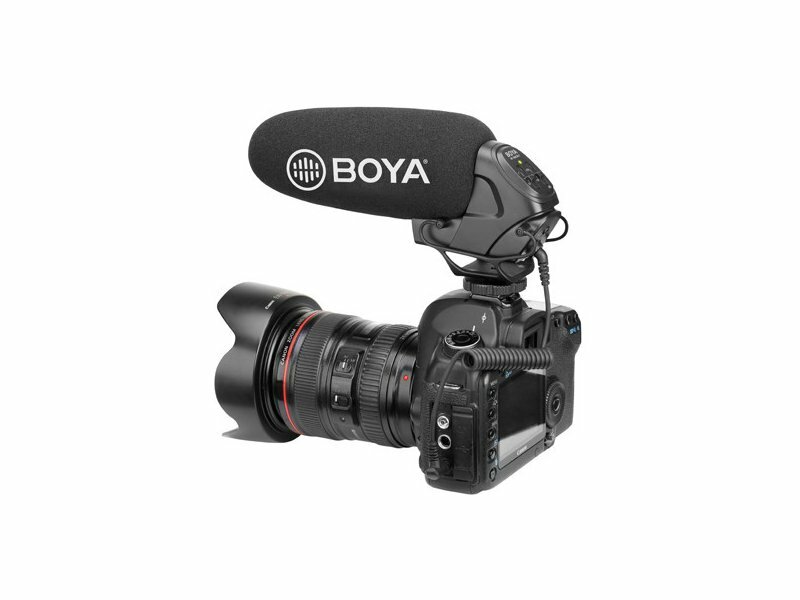 The lightweight mic attaches easily to any camera equipped with a 3.5mm microphone jack or to a boom pole, and integrates a built-in shock mount that helps eliminate unnecessary vibrations that create excessive backgound noise. 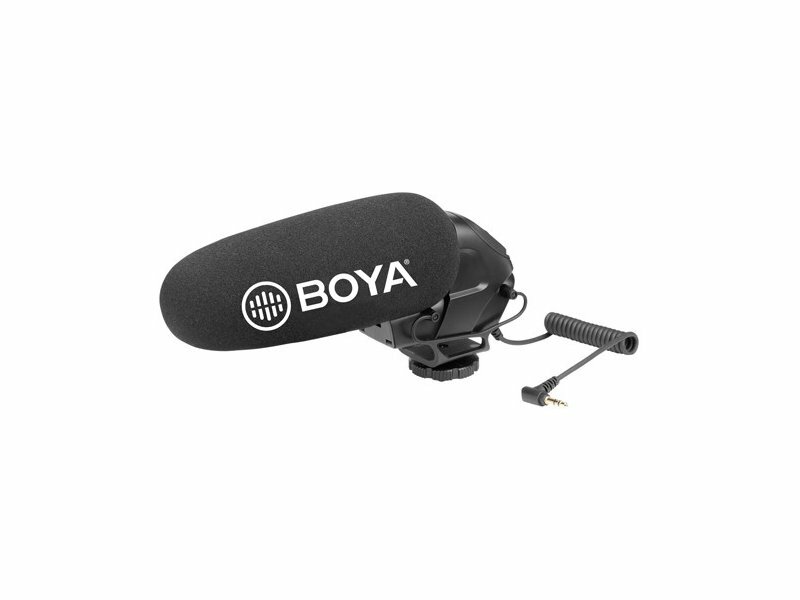 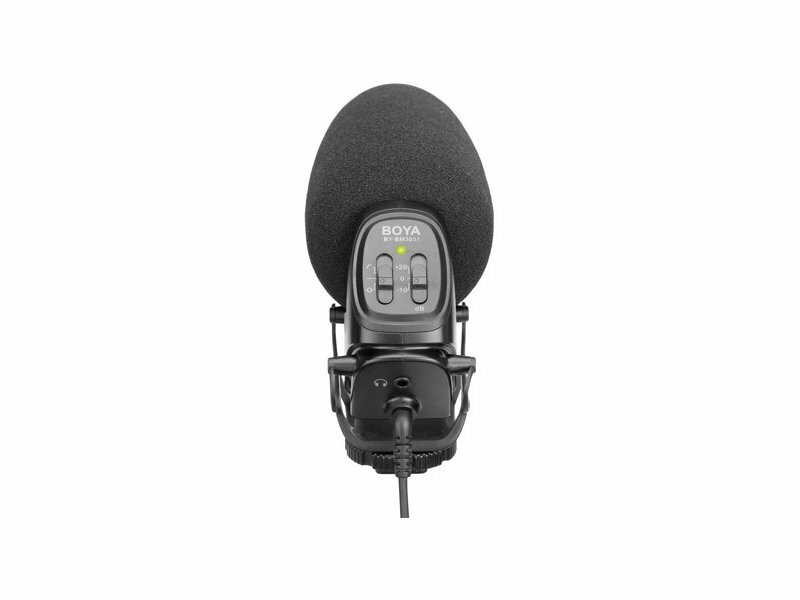 This mic includes a foam windscreen and fur windscreen that helps to decrease vocal plosives and wind noise when recording dialog and powered by two pieces of AA batteries (not included) for up to 120 hours. 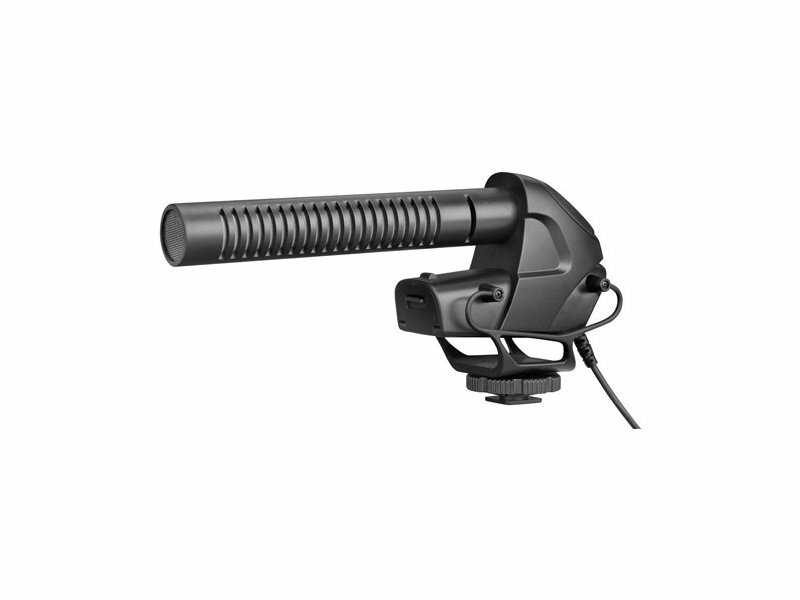 Three-level gain control (-10dB, 0, +20dB): This function allows to use this mic in various situations.